DIY was the word last Wednesday night as the Casbah welcomed a trio of acts, all possessing an element of the 'made by me' ethos. As the upcoming weekend is nearly upon us, cooler temperatures and great shows are headed to San Diego. Capping off the busy weekend will be none other than those young whipper snappers from Florida, Surfer Blood. I remember their first San Diego gig when van troubles almost kept them from making their set time. Alas, all was well and their career has taken some interesting twists and turns since that autumn evening. The band signed with industry heavy Warner Bros. Records, and their sophomore release, Pythons, is due out on June 11. Meanwhile, the lads are completing a seven date run through the Golden State, while an upcoming tour with Foals is right around the corner. Getting a chance to hear some new songs as well as the 'older' songs is all I need to head down to the iconic Middletown venue. After all, that is where it started here for this band. The songs are catchy, lead singer JT has a carefree (yet charming) attitude and the band certainly brings a frenetic performance to each live show. I have only listened to Weird Shapes, the single off the upcoming album, and if it is any indication, then Pythons should be a welcome addition to Surfer Blood's discography. Catch Surfer Blood live this Sunday, March 3, at the Casbah. Grand Rapids set the stage. Watch a video of Floating Vibes below. So I'm trying to keep up with everything and thanks to Jordan and Jeff, we've got listings out early this week so I can properly ignore my laptop for a day or two to celebrate Darren's birthday. I'd also like to get ahead of things because I'm still hoping to make it to SXSW this year. I'm looking for transportation, so if anyone knows anyone who has a spot in a car or van, I'd be grateful to tag along. I have a place to stay in Texas so I just need the ride there and back. Wednesday and Thursday archives are after the jump. I've started this diary post about 6 different times, and in that time, over a month has elapsed since my last post. I don't really know what my obsession is with even writing these things...perhaps to clear my head, perhaps to gain perspective, perhaps to assess and appreciate all that I have, but I can't shake them and feel compelled to write them. It was a really great month and it feels pretty awesome to have eliminated the word "rollercoaster" from my posts of just a year ago (codeword for depression). Today is Darren's birthday, and forgive me for being a girl for a second, but I love this man so deeply and have never been in such awe of another human being. 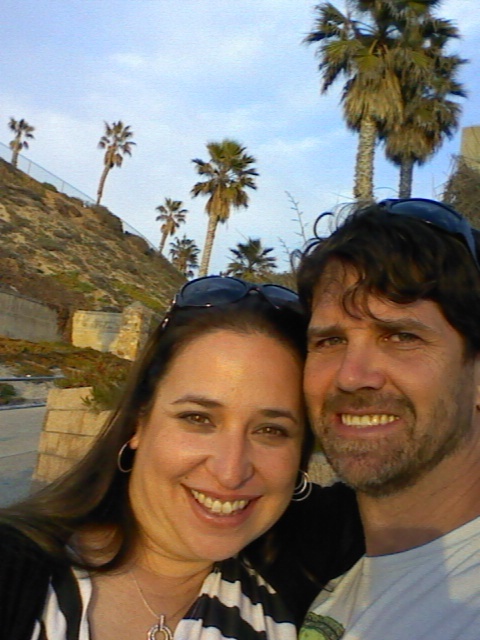 That he loves me back with equal regard just blows my mind every day. That said, we are planning on joining the San Diego River Rescue team this morning for some river cleanup, and later after a few Wednesday obligations, I can't wait to kick off another #24HourDate. My gushy diary is after the jump. 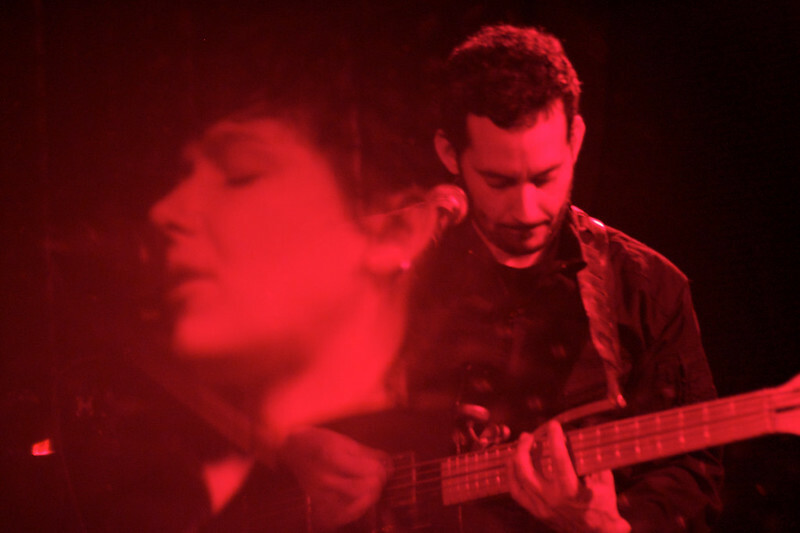 I know I owe you a lot of videos and hopefully I'll get a few more things tackled this weekend, but I wanted to share the videos from last week's Night Beds show at the Casbah. It was a pretty incredible show, definitely one of my favorites this year so far. I haven't been able to take the time to title the songs, but here's the playlist anyway. I am kind of addicted to City TV. Today's City Council meeting with the Tourism Marketing District on the docket was super interesting and also very confusing. I guess I'll be doing my research a little deeper to try and make sense of all of it. Anyway, this week is super exciting for me...I'm going to Largo in LA tomorrow to see Grant Lee Phillips and Gayle Skidmore, and Wednesday is my boyfriend's birthday so it should be a super special #24HourDate. 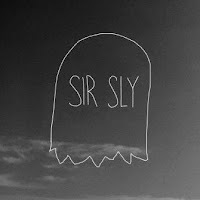 Tonight I'll be heading to the last night of Sir Sly's residency and I'd recommend checking it out, especially checking out Man Without Country who are opening the show around 9pm. Monday and Tuesday archives are after the jump. As the month of February comes to a close, March appears as one of the best months to see live music. A closer look at the upcoming week reveals many great shows. Watch a video of Don't Let Me Fall Behind (Jukebox the Ghost) below. I just got this email and the project sounds really cool, especially since I know of so many projects about the San Diego music scene already in development. Check it out! Inspired by the Nokia Music's series, New American Noise, Nokia Music and Sundance London are challenging filmmakers and directors across the globe to investigate the music scenes in cities around the globe, giving other music fans an unprecedented introduction into the history of and current music scene in the chosen city. The top two films will feature in a special screening at Sundance London Film and Music Festival 2013. To take part, filmmakers must upload a short video trailer (15 sec - 60 sec) including a 150 word supporting written description visualizing the 'underground music scene' in their chosen city by the 14th March 2013. In essence the trailer submitted is an audition, which showcases the concept of the proposed film. Two finalists, voted for by members of the public, will receive two #Lumia920's and a $5,000 production budget each to create their final short film. What's more, both films are guaranteed a special screening at the Sundance London Film and Music festival (2013) in April, along with a mentoring session with one of the 'judges'. Finally, one lucky grand prize winner will walk away with $5,000 and Nokia #Lumia920. To find out more about this Creative Invite, click here. There are so many things that I would love to catch up on but even when I spend an entire overnight working, it seems like sometimes I can just never catch up. It will happen soon, because for every eyeroll I get when I post a diary, I get at least a few responses telling me not to stop. Feed the beast, as they say. Anyway, there are some really great shows this weekend, specifically Ramona Falls at the Ken Club on Sunday, so don't slack. Get out and enjoy some music. If you're interested, my Night Beds videos are up on my YouTube channel and I'll post them soon, but just in case you wanna peep them before I post. Anyway, Friday through Sunday archives are after the jump. The upcoming weekend is nearly here, full of great live music events in San Diego. While this Sunday is Oscar night, what better way to finish the evening than with a show in cozy Kensington. Portland indie rockers Ramona Falls are headlining a terrific bill at the Ken Club, presented by the nice folks at Soda Bar. 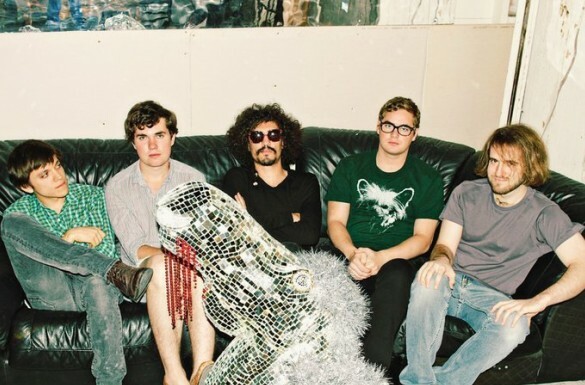 The creative genius behind this band is none other than former Menomena band member Brent Knopf. 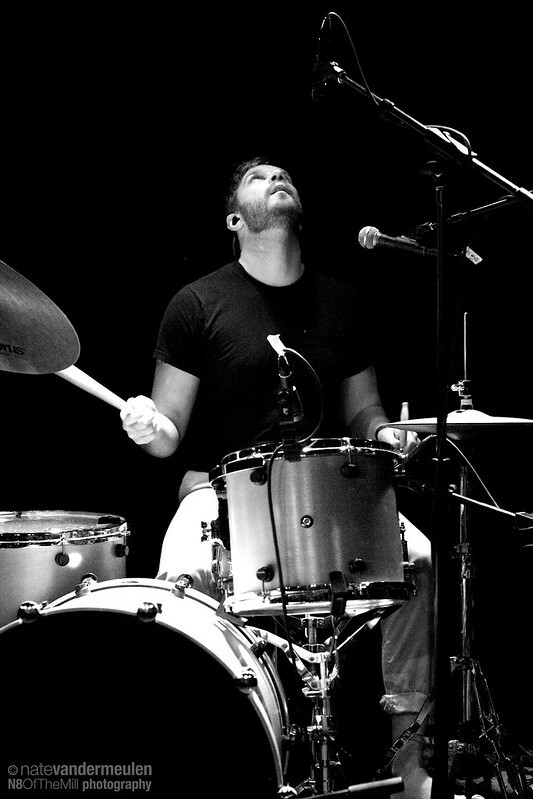 Most of the songs from the band's first release, Intuit, were "test driven" while Brent was still in his previous group. Good reviews and a desire to be in complete control led to the formation of Ramona Falls on a full time basis. In addition, band member Matt Sheehy (guitar) is also in the group Lost Lander, whose initial album was produced by Brent. Such is the nature of the music community to the north (Portland) and everyone else gets to benefit from the music. 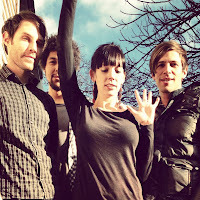 Ramona Falls recently released their sophomore album Prophet. The sound is very complex at times, but that is part of Mr. Knopf's creative marrow. The result is a pleasant listen which shows the band growing their sound. Brent's vocals lead the way, but do not overpower the music. After the winners are announced during Hollywood's big night, head over to Adams Avenue for what is sure to be a memorable night of music. 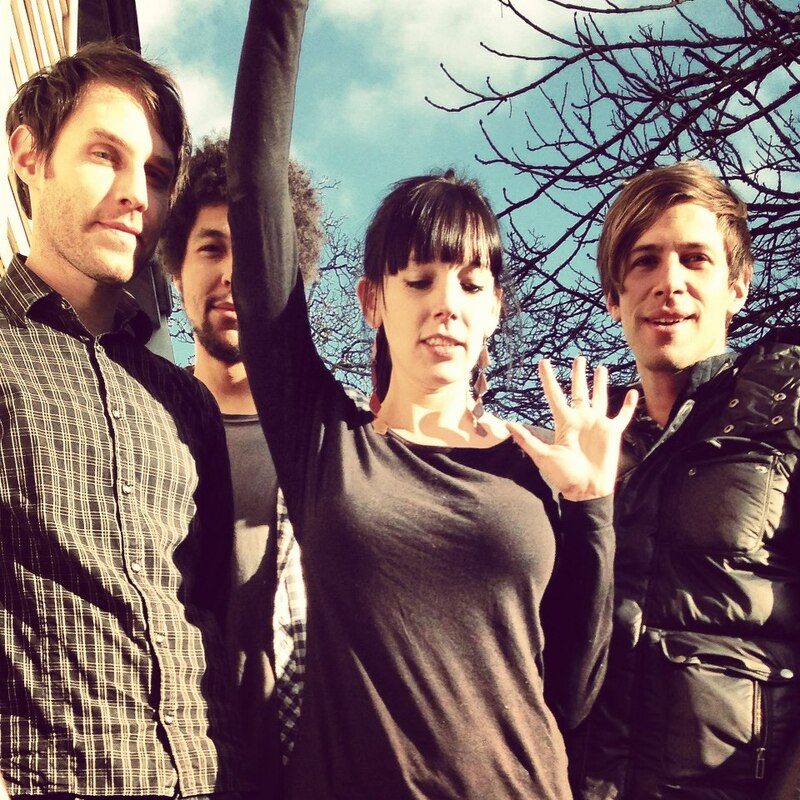 Be sure to catch opener Social Studies, an up and coming band from San Francisco. Watch a video of Fingerhold below. The San Diego County Fair presented by Albertsons/Sav-On is once again bringing in new talent to compete through song, dance, and acting. This year's hot new talent will compete for cash prizes while spreading the word about their showcased performance skills. The Fair's yearly performance contests are back! In its first year "The Ultimate Triple Threat" brings competitors (youth and teen) together to compete in not one, but three talents! Highlighting the competitor's skills in acting, singing and dancing this new competition is sure to test the versatility of the individual's well rounded artistic talent. The grand prize winner will be awarded $1,200, one dance and fitness pack from the Academy of Performing Arts, a one year subscription to Backstage.com as well as a one hour photo shoot with First and Orange. Deadline to enter is April 28, 2013. The Fair is taking San Diego's best Hip-Hop dancers to center stage for "Southern California's Best Dance Crew"! Amateur and professional groups of five members or more may compete. Most of the dancing must be performed in a Hip-Hop style. Cash prizes will be awarded in two divisions: Youth/ Teen and Adult. The grand prize winner will be awarded $1,000. Deadline to enter is April 28, 2013. Returning to the Fair is the "Singer/ Songwriter" competition. This is a search for the best performances by a solo singer and showcase for original writing. The grand prize is $3,000, five hours of studio time from Recording Arts and Technology and one Taylor guitar. All performers must be 18 or older. The deadline to enter is April 28, 2013. For its second year, the Fair welcomes back the "Cantautor Latino" contest. Featuring the best solo performance of an original song in Spanish, this contest offers singers/songwriters the opportunity to share their personally written songs with the Fair's audience at the chance of winning a grand prize of $3,000, four hours to Track Star Studios and one Taylor guitar. Deadline to enter is April 14, 2013. For complete information on all of the Fair's talent competitions, go to: www.sdfair.com and click on "Contests"
It's been a funny week over here at sddialedin hq. I got a little bit sick over the weekend and was kinda knocked out, but mostly it was just a cold and I didn't get that dreaded flu making the rounds. I may not have health insurance, but I do have the option to avoid people and places where one might catch such nasty bugs. I had a great time babysitting on Tuesday followed by the INCREDIBLE Night Beds show at the Casbah and yesterday was pretty chill with some time with Darren, a Casbah meeting and lunch with Pyles, and some much needed rest to knock out the lingering bit of my cold. I'm really looking forward to this weekend after and as you can see, there's so much going on through the end of the month. Thursday archives are after the jump. I'm currently sitting at my friend Melanie's desk, as her one year old, Zane, stirs quietly in his crib. He's happy and giggling and playing with his toes but definitely resisting taking his nap. It's so tempting to go in there and play with him but I know eventually he'll lay his head down and drift off to dreamland. I agreed to babysit every other Tuesday while Melanie works a freelance job producing local spots for Walmart. If you're a mom in San Diego and wanna get some free groceries, you should check out her casting call. In music related news, I'm so looking forward to Night Beds tonight at the Casbah and there will be plenty of tickets available so just get your tickets at the door. You can thank me later. Tuesday and Wednesday archives are after the jump. A closer look at the upcoming week reveals many worthwhile shows taking place in San Diego. 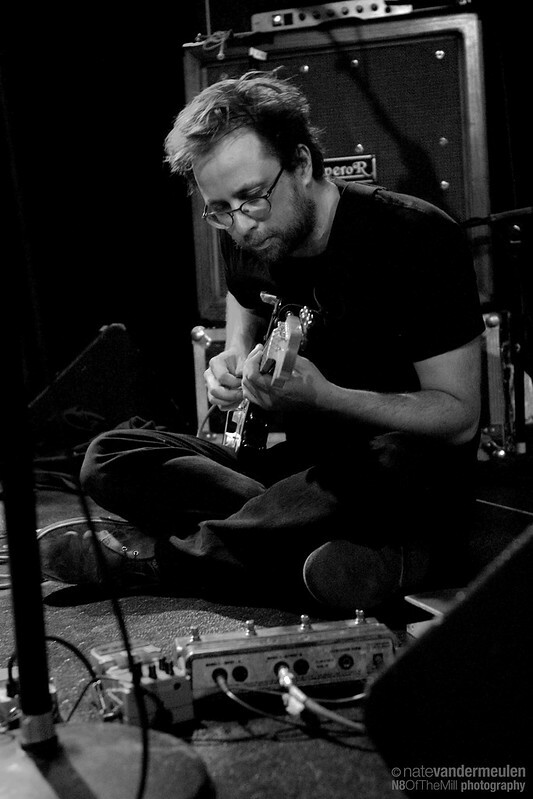 On Sunday Brent Knopf returns with his project Ramona Falls, this time at Kensington Club...Social Studies (San Francisco) open, making this a must see show...(post Oscars)...if punk rock is your thing, then head to the Casbah for The Night Marchers playing songs from their new album..
Watch a video of Busman's Holiday from Allah-Las below. There used to be a time when people would say things like "when do you sleep?" or "how do you go out every night?" and it really wasn't that big of a deal because if your really think about it, even if I went out every night of the week, it would pretty much be from about 9pm til 2am or so. The rest of my days were pretty much devoted to sleeping and laptopping, with some eating, cleaning and showering thrown in between. These days, I have a lot more work but also a lot more play and my sleep hours have seriously taken a hit. This weekend has some amazing shows, but don't hold it against me if I stay home a bit to catch some Z's. Tonight, however, you can find me at the Belly Up for Ra Ra Riot. I'll also be shooting an interview with the band for SoundDiego, so I'll be sure to let you all know when it is going to air. Friday through Monday archives are after the jump. Ever since I designated Mondays as my "day off", I've found new ways to enjoy the day, though I have to say that I haven't exactly kept them work-free. Today, for example, after hanging out with Darren for a good chunk of the day and cleaning the house, I gave myself a pedicure while watching Mea Maxima Culpa on HBOGo while slowly weeding through email and playing Words With Friends on my Nexus. I've got a long way to go to be caught up on email and NPFoA and Casbah stuff, so maybe I'll be a jerk and actually take my laptop to Anti-Monday League at the Casbah so I can enjoy the live music while I get some work done. Mostly I want to be all caught up by the time Darren and I have our bi-weekly 24 hour date night on Wednesday, which will include the night at the Casbah for my show with The Peripherals, Burning Jet Black, and Kelsea Rae Little. Save the date and I'll see you there!! Monday through Thursday archives are after the jump. 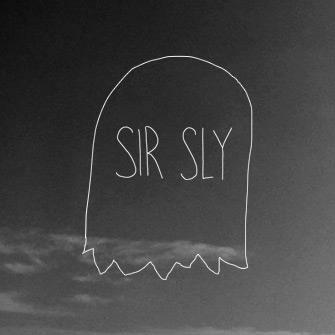 Last week I was excited to finally catch Sir Sly at the Casbah. The band is playing 3 Mondays in February, with two more left to go including tonight and February 25. All of the shows are free and definitely worth checking out. Since the band has limited music online, I thought I'd shoot and share some videos to get you off the couch and down to the Casbah tonight. Be sure to get there early tonight to catch Miner and MOXI. There was concern that Lighting in a Bottle, was not going to return this year and if you wanted a Do Lab festival experience then Coachella was the only option. 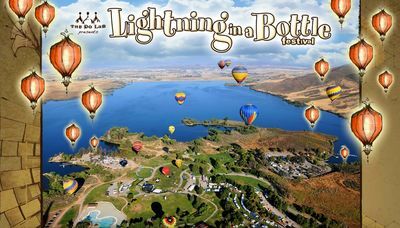 Do not worry as Lightning in a Bottle, the Southern California music and yoga festival is happening this year and the location is closer to San Diego, Lake Skinner in Temecula. Lightning in a Bottle has brought in acts like Pretty Lights and Bassnectar, music acts and speakers have not been announced yet but judging from previous years the festival will be well worth it. Rush-N-Get-Em (get them here) tickets start at $195 presale tickets go on sale tomorrow 2/12/2013 and will be available for 48 hours or until they sell out. General tickets go on sale March 18th starting at $240. In addition, single day tickets will be available during the general ticket sale. Rising from the ashes of Sleep are doom metal heavies Om at the Casbah, also on Sat. 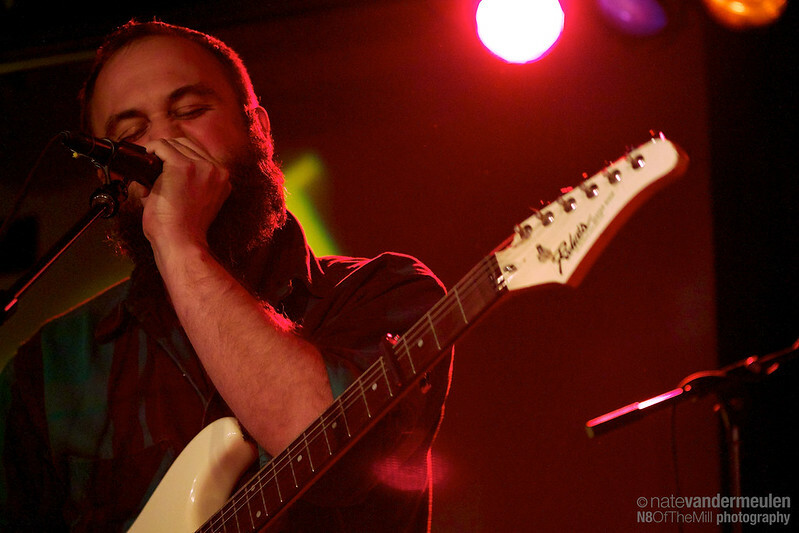 Watch a video below of Fever (live) by The Heavy Guilt. I've lived in San Diego all my life and have never seen the streets as they were last night. Did you see that hail actually stick to the ground and look like snow? Bancroft was completely iced out and other streets had rain from corner to corner. Of course, it's nothing compared the the blizzard that hit my brother and sister-in-law in Rhode Island and today is quite beautiful out, so our afternoon bike ride is just on a quick pause to update listings while Darren walks Pascha. Mostly I just wanted to let you know that Deadly Birds had to cancel at the Griffin and have been replaced by Dead Feather Moon, so if you're not already planning on seeing Swim Party at Soda Bar, that is certainly a good alternative. There are also plenty of tickets for Gram Rabbit at the Casbah in case you feel like sporting your bunny ears for some high desert rock and psychedelia. Saturday and Sunday listings are after the jump. OFF! has had to cancel their show tonight due to illness to Keith Morris, lead singer. 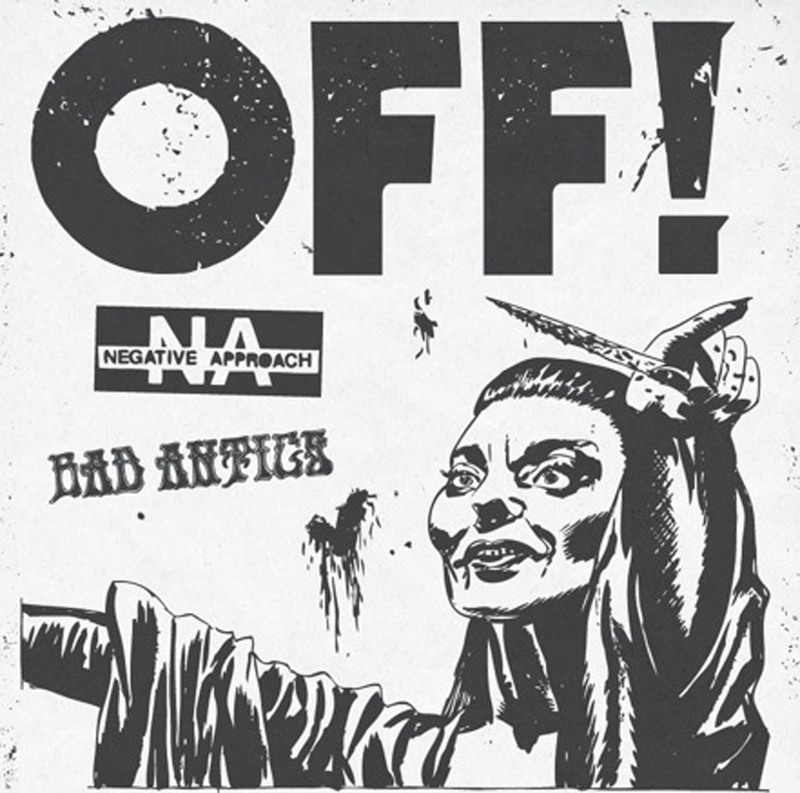 Negative Approach and Bad Antics are still going to be playing and Ghetto Blaster has been added to the bill. Tickets for the show will be reduced to $10. 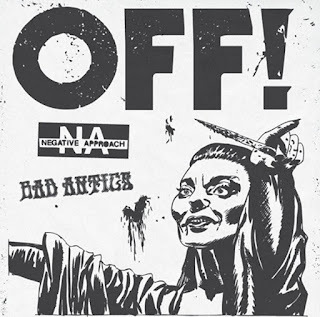 Casbah will be issuing automatic refunds for all $15 tickets that have been purchased for the OFF! show and selling the $10 tickets at the door this evening and online at this link. The Casbah will work hard to reschedule OFF! sometime in the near future and wishes Keith a speedy recovery. Doors for tonight's show will still be at 7pm and is all ages. I knew when I stayed up working till 4am last night and then taking an afternoon nap on Wednesday that I was in for trouble, so I'm thinking I will just power through till the morning and then sleep sometime before working at the OFF! show at the Epicentre before seeing Gayle Skidmore at the Casbah, then maybe cycle back to normal sleep times. There's so much good stuff this weekend (thanks to Jordan and Jeff as always for their listings) so I'll just let you mull them over. If I might nudge your choices a little bit, be sure to catch WMMF at the early Soda Bar show on Friday, then head back there on Saturday for the reunion of Swim Party while Erik is back in town. Also mark your calendars for next week because on Wednesday, February 13, San Diego: Dialed In is presenting a pre-Valentine show with The Peripherals, Burning Jet Black, and Kelsey Rae Little. It's only $5 or $8 for you and your lover/friend/bestie/ex/whatever. Maybe I'll even make cupcakes or cookies or something. Thursday and Friday archives are after the jump. There aren't many bands that can combine folk, psychedelic and experimental rock in such a wonderfully weird way as 'rural America' born, New York City based three piece Akron/Family. 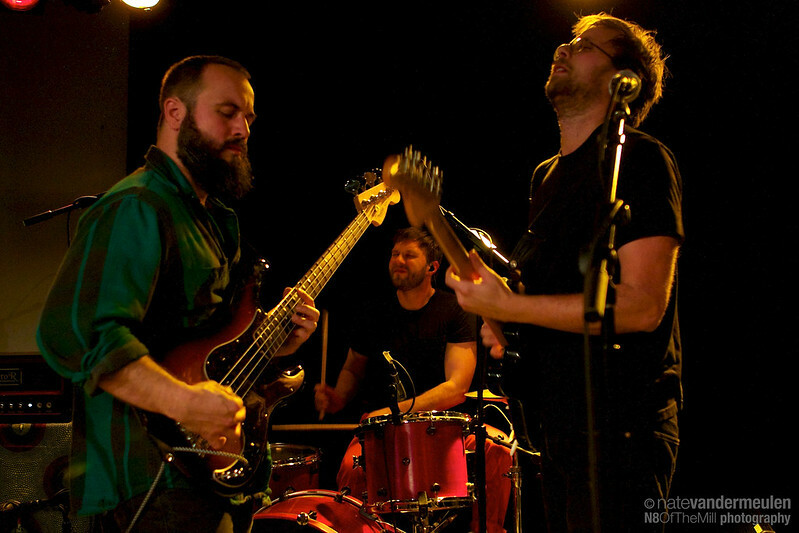 Valid comparisons include Maps & Atlases, early Animal Collective and Megafaun, though any of those bands would have a hard time looking like they enjoy themselves as much as the trio that took the stage on the UCSD campus last Wednesday. 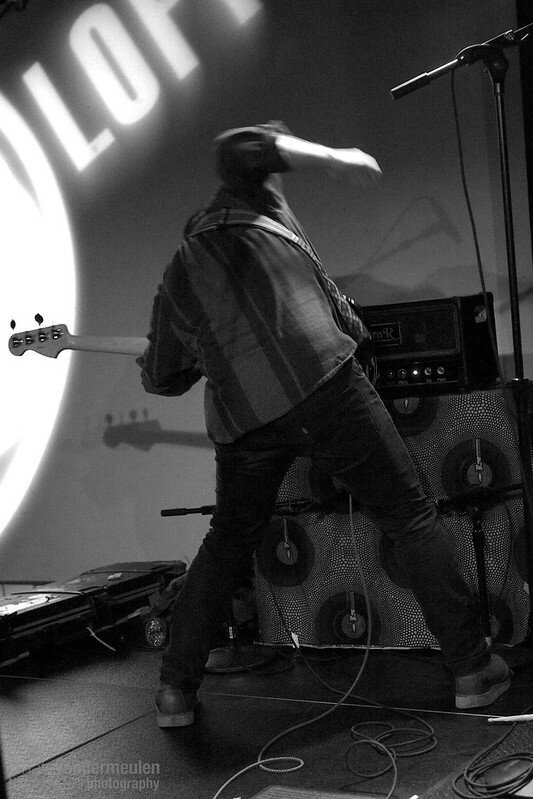 Following a short and sweet set by local boys Cuckoo Chaos and a quick tear down/ set up by The Loft's own roadies in training, the band broke into what turned out to be almost an hour an a half of strictly new material in the form of their soon to be released seventh LP, Sub Verses. Considering how polished and seemingly well rehearsed the material came through during the set, it was surprising to find out after the show that they had played songs from the new album (in the same start-to-finish format) all of one time before that night. Though there were some grumblings about the lack of familiar tunes and the occasional call for a specific song from the back catalogs, the frequent and entertaining crowd interaction from lead singer/multi-instrumentalist Miles Seaton and guitarist Seth Olinsky kept everyone at ease during breaks as the band deftly wove their way through what was an impressively captivating show. As enjoyable of a first experience as it turned out to be, anticipation is high for their (hopefully soon) return to San Diego. For additional shots from the evening click here and additional concert photography click here. Please ask for permission before downloading or linking to them. 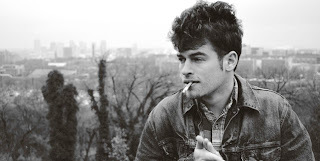 When I first listened to Winston Yellen's new project Night Beds, the first thing I thought was, this guy is only 23? I could not believe the maturity in his voice, let alone the heartfelt lyrics. Settling into his new adopted home of Nashville, the Colorado native sings about love, relationships, and the many subjects commonplace with music. What sets him apart from the rest in his intimate vocal delivery, and the results are, in a word, haunting. I find myself going back to these songs over and over, but never get tired of listening to them. Night Beds (Winston) brings his band to the perfect spot for a show in San Diego, The Casbah. Mark the date: February 19. Even though this happens to fall on a Tuesday, I feel lucky to have our city included in his tour itinerary. Do yourself a favor and make every effort to see what promises to be a young man on the brink of becoming known on the national stage. Dead Oceans released the 10 track full length, Country Sleep, on Feb. 5. Tickets for the upcoming show can be purchased here. Watch a video of Even If We Try below. I usually try to update listings after the weekend just so they sorta float to the top of the site, but it sorta slipped my mind. So I'm doing it now, and will hopefully have weekend listings sometime on Wednesday night and can get you all caught up. I also wanted to give you a head's up that a bunch of Casbah shows were added this week including two nights with Built To Spill, a night with Mudhoney & Fluf, Peelander-Z at Soda Bar, and Metz, and if you check the Casbah site, we'll be announcing a few more on Wednesday afternoon. Wednesday archives are after the jump. I was not really planning on posting about Quicksand. For one, Nate already did a great post with all of his awesome shots of the bands. I also kinda just wanted to let the night go away from my memory forever. That day was awesome and I went into the show after a great day running around with Darren, but somehow I forgot to eat, so when I had a few drinks before even entering the show, I was already past my limit, add some more, and well, I'm lucky I have rad friends (Thank you Thad, Christy, Brian, and Robin) and an amazing boyfriend who look out for me when I am a complete trainwreck. It's pretty sad, too, because the show was incredible and I ran into so many old school friends and really didn't need a super-rosey appearance, but it is what it is. Fortunately, I was rebellious enough to shoot a couple videos which is why I decided to share. And now I will move on and close the door behind me. Enjoy. Anyway, I guess I've always cared, but when I can tweet @ToddGloria about the nightmare water/sewer construction problems on my street and get not only a response but a resolution within hours, it feels like even my voice matters, and not just the voices of wealthy property and business owning campaign donors. So the reason for this post is two-fold. First, I wanted to share the link from KPBS about the Plaza de Panama proposal in Balboa Park. A Judge has ruled that the Plaza de Panama project is in violation of the city's municipal code. Hopefully SOHO and Irwin Jacobs can come to a better proposal in mediation and serve the park's parking needs while also maintaining the integrity of the Cabrillo Bridge and the Plaza de Panama. (update: See Full SOHO press release at the end of this post or here)The other reason I'm posting is because Westfield Horton Plaza has changed their parking fees and validation rules. And while it seems to have nothing to do with government, in a way it all ties together. That is going to be quite a rant, however, so I'll post that after the jump. February might be short on days, but is filled with music events worth attending. A closer look at the upcoming week reveals many great shows. Sunday Feb. 10...Big Freedia @ Casbah...unique energized show, to say the least.. In addition, The Who hit town on Tues., OFF! plays Epicentre on Thurs., while the Portland Cello Project plays Luce Loft this Fri. and Gram Rabbit returns to the Casbah this Sat. Whatever you do, make sure and check out a show or two or three this week. To whet your appetite watch a video of Chelsea Wolfe's Sunstorm below. I got this email from the local Sheriff Department and thought it deserved a post today. There will be DUI checkpoints all over town, so be safe out there and enjoy the game! Sheriff's Deputies will be out on patrol this Super Bowl weekend to look for drunk drivers. As one of America’s most anticipated and celebrated sporting events, the Super Bowl brings together families, friends and fans each year to enjoy the excitement of the big game. In many instances, fans will gather to watch the game at sports bars, restaurants or Super Bowl-themed parties. We want everyone to make the right decision on Super Bowl Sunday. • AAA Tipsy Tow: Call 800-400-4AAA (4222) for a free tow home of up to seven miles. The service will provide a one-way ride for the driver and vehicle to the driver's home 6:00 p.m. Monday, December 31 – 6:00 a.m. Tuesday, January 1. 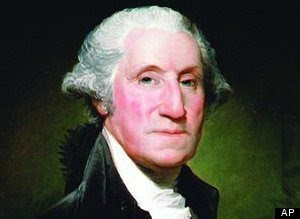 Visit http://goo.gl/tCFb3 for more information. • Be My Designated Drive or DD: Reserve a personal driver in advance to meet you at your location. The driver can take you to your destination, wait with your car and then safely transport you back to your original location. Call 1-877-823-6933 or visit http://bit.ly/IAIigc to make a reservation. •Designate your sober driver before the party begins. •Avoid drinking too much alcohol too fast. Pace yourself. Eat plenty of food, take breaks, and alternate with non-alcoholic drinks. •If you don’t have a designated driver, ask a sober friend for a ride home; call a cab, friend, or family member to come and get you; or if possible stay where you are for the night and don’t drive until you are sober. •Never let friends drive drunk. Arrange a safe way for them to get home. •Always buckle up. It’s still your best defense against other drunk drivers. •Make sure all of your guests designate their sober drivers in advance, or help arrange ride-sharing with sober drivers. •Serve plenty of food and non-alcoholic beverages at the party. •Host your party just like they do at the stadium. Stop serving alcohol at the end of the third quarter of the game. The fourth quarter is perfect for serving coffee and dessert. •Keep the phone numbers of local cab companies on hand and take the keys away from anyone who is thinking of driving drunk. •Remember, you can be held liable and prosecuted if someone you served ends up in a drunk-driving crash. •If an underage person drinks and drives, the parent may be legally liable for any damage, injury or death caused by the underage driver. •Likewise, parents or other adults who provide alcohol to, or host a party where alcohol is available to, those under age 21 could face jail time. For more information on the social host rules, visit www.sdsheriff.net/social-host. I've been collecting little bits and pieces that I've read this week, so while I wait for Darren to fix the ping pong table in the backyard (!!!) and finally hang some things on my walls, I thought I'd post so you have some ways to kill time as you finish off your workday. First, I was so happy to see everyone posting on Facebook about The Styletones having a song in a Milk ad airing during the SuperBowl! George Varga was hip to the story and you can read about it in the UT. Earlier this week, a beer guy took issue with lists about beer towns written by people who really have no business talking about beer. He decided to make his own list, and San Diego was definitively named Best Beer City in his article in the Seattle Post-Intelligencer. Granted, it is a reader submitted blog, but the guy knows his stuff as far as we're concerned. This was an interesting little article about new postal rates. NPR: Rising Postal Rates Squeeze Small Record Labels I'm not really sure how much record distribution is happening internationally, but it made me think about places like TAANG!! Records who have storefronts that sell records but primarily rely on international sales of classic vinyl to keep thriving. Hey friends! Artist submissions for this years SDMT open on Monday, Feb. 4th. Keep you eyes open for our new website also launching on Monday. Were celebrating by giving away a pair of SDMT all access badges. Post below with the name of a band you would like to see at this years Music Thing and we will pick a winner on Monday! Thanks to everyone who has submitted to the North Park Festival of Arts so far. I got some great entries last week and I'll be getting back to all of you. There's also an open call for poster artists so check out the site. Finally, I don't have a ride to SXSW this year. I've tagged along with Dynamite Walls and The Heavy Guilt in the past couple years and would love to get back to Texas in March, so if anyone has room for one, I'll blog and tweet about how awesome your band is and be forever grateful. I think I'm covered with a place to stay, just need to get there and back. If you want to donate to this year's travel fund, my little PayPal is set up in the corner. It's gonna be a Super weekend with all kinds of Super shows going on around town, so don't let Super Sunday stop you from getting out of the house. It's been a pretty cool week for me but I think maybe I'll save that for another post since I'm working at the Casbah at the moment and slightly distracted. Speaking of the Casbah...the Bronx on Friday and Smile on Saturday are both sold out, and the bar is closed on Sunday so you can watch your game or whatever. Archives through Wednesday are after the jump.